First of all, can I say thank you SO MUCH to all the brilliant detectives who were out seeking For Richer, For Poorer in bookshops nationwide (as per the thread below this). Obviously I was hoping to hear that none of you could even get through the bookshop door without bumping into huge piles of shiny new paperback copies, teetering like delicious cakes on display tables of “new books” and “recommended reading”... sounds like it’s not stocked in quite as bumper and visible a way as I would dream of, but I know that all authors (bar JK Rowling and Jeremy Clarkson) have that feeling. We all worry that our hopeful little books are too hidden away and nobody will find them. The truth is, I’m grateful to have a book available in bookshops at all. As a child, it’s all I ever wanted. And you’ve all done sterling work reporting on the places where it’s in Indoor Games, and I know my publishers have now made calls to try and get the book moved into biography - where it is officially supposed to be, this time around, and is much truer to the spirit of what the book really is. And who knows, maybe there’ll be a knock-on effect from all your questions, that the kindly bookshop staff will be more aware of it, maybe even in some cases move it to those precious front tables?! - you will all get emails at the address you used to post, asking for your postal addresses, so I hope you used real email addresses when posting. Also, I hope you’ve all read the book, because the soundtrack will make much more sense if you have; but if not never mind, there are some damn fine pieces of music on there. And I’m really sorry I can’t afford to send copies of it out to EVERYONE who posted, you did a brilliant job and thank you so much again. It must be wonderful to have a childhood dream come true! - I would tell you mine but I know you’re far too strait-laced to ever let me perform it and anyway, it would never get through the moderator’s censor. I sighs. By the way, is there any reason none of you wore a red nose on OC? Did you put your feet down? It was also great to see you laugh a few times and that you kept stopping to remind everyone what it was all about. Talking about unfulfilled wishes - I like today’s security word. Thank you, thank you so much. I am utterly amazed that I got a prize. It’s not something that usually happens to me. It is such a rare occurance, that I can count the number of times that I have won something in my whole life so far, on one hand. I think I might just need my thumb for this win. My fault for rarely entering things, I suppose, but perhaps you have brought me good luck Victoria. I have not even met you, but I have read your book. Those people who have actually met you must be so incredibly lucky. So there you have it folks. 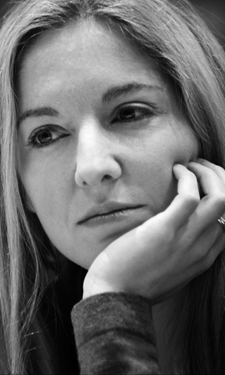 Buy and read Victoria Coren’s book, *For Richer For Poorer*, and perhaps your luck will improve too. Available in all good bookstores (if we get our way.) Every book comes with a free subtitle.. what incredible value!! Glad your publishers are working on moving it, because (with my Waterstones employee hat on as well as the fan-glasses), it’s really not that we hate the book (cue hyper squealing), but the computer says FRFP goes in “Indoor Games” with poker, so that’s primarily where it gets put. If an employee (or helpful fan) puts it somewhere else, other staff or customers won’t be able to find it and then there’ll be angry customers telling us off for having lost it and sad staff. It seems like your publishers have been on the case though (yey!) because there are WAY more copies of the paperback being stocked; we only had a single one of the hardback in, but now the paperback is on the 3 for 2 offer, multiple copies face-out on the shelves, staff-recommended, etc, so here’s hoping for record sales. Glad to be of service! I had a very interesting afternoon in the Meadowhall Centre, after your appearance on Steve Wright’s show, putting every copy I could find face out. Immediately after Larry Lamb’s interview went out (he also has a book out) the Waterstones staff stuck a little note on the shelf under his that read “as heard about on Steve Wright In The Afternoon”. Needless to say that little sticker somehow found it’s way into the indoor games section. I’m reading the book now and loving it. And no, I’m not just saying that! I know nothing about Poker but it’s still the most entertaining thing I’ve read in ages. I know you said you would never write anything like it again, but I sincerely hope you do!